Harriet presented the program Mindful or Mind Full? 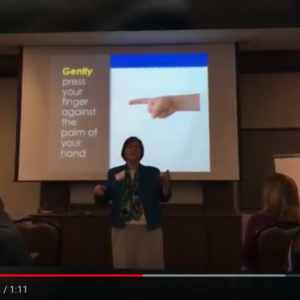 : Decluttering the Busy Leader’s Mind at the Power Your Potential – Montgomery County, PA Women’s Conference (March 2018). During the session attendees learned why Mindful Leadership is needed in the workplace. We all face challenges in our daily lives. Research shows that how we manage those challenges can have either a positive or negative effect on our relationships and on our physical and mental health.